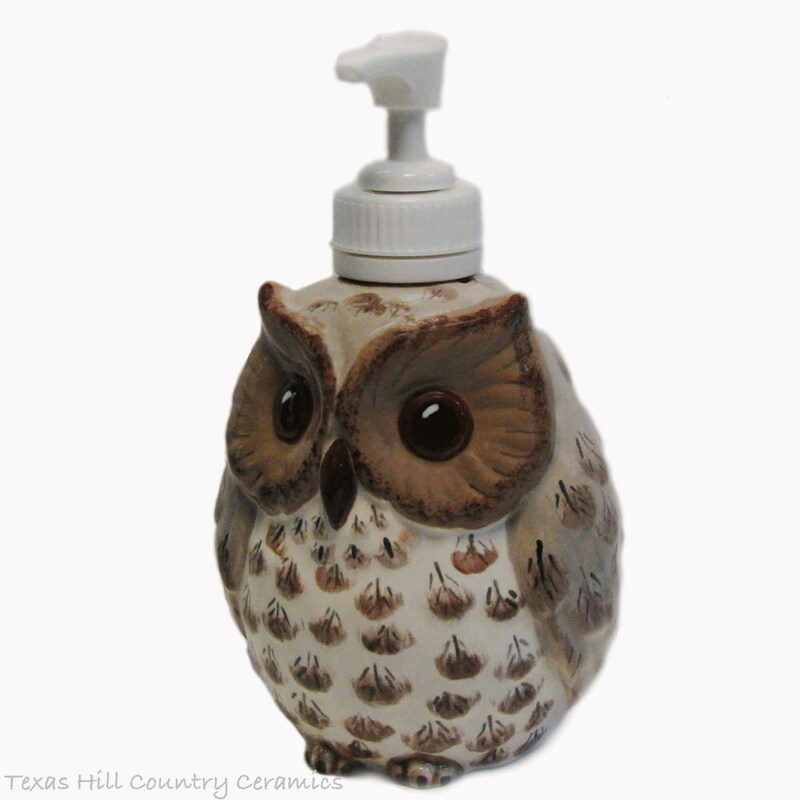 This small round owl was created to be used as a dispenser bottle for liquid soap or lotion. 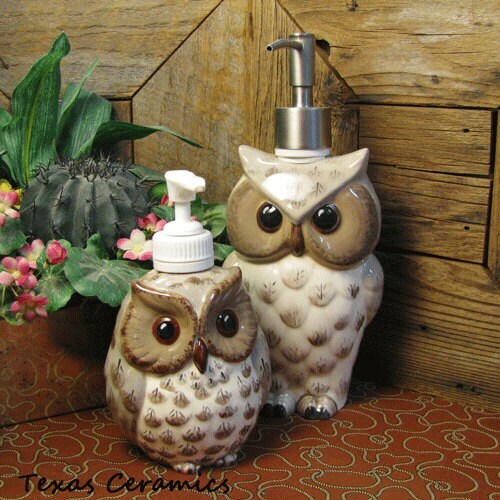 This ceramic owl soap dispenser can also hold hand sanitizer. 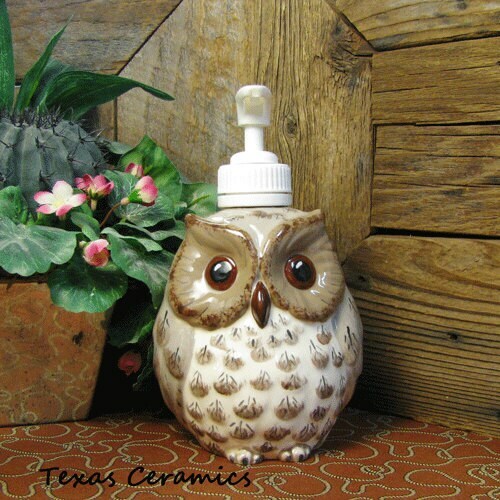 This ceramic owl is finished in warm earthy shades of color and is highly detailed. Made to Order. • Each owl is hand painted and the design on the one you receive may vary slightly from the one in the photo. 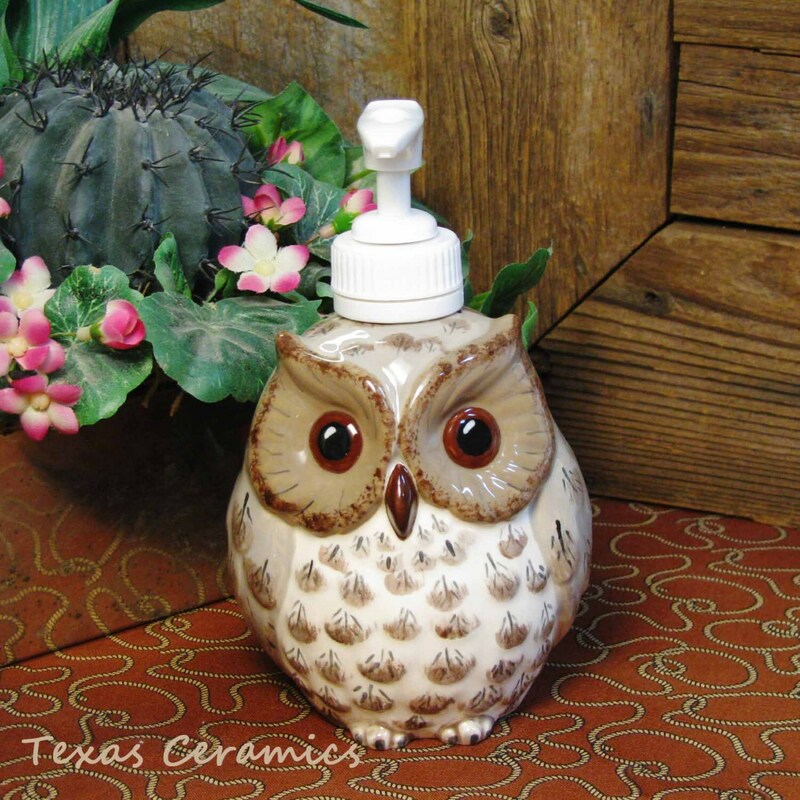 The owl pump dispenser is made of ceramic earthenware, it is slip cast from a vintage ceramic mold, it is kiln fired. This owl is finished in warm colors of off white, taupe and coffee highlighted with earth brown and java bean. The detail is hand painted in a folk art styling. 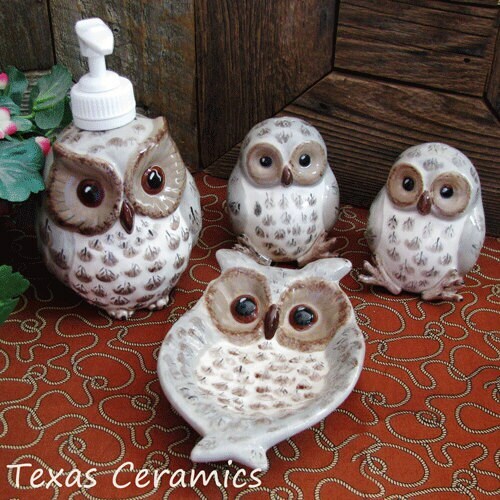 All glaze used is lead free, the owl is also glazed inside sealing the entire piece for added life. Thank you for accommodating my special request. Simply adorable! Well packed & shipped quickly. Thanks for your adorable soap dispenser he's just perfect! Perfect communications with the seller, fantastic packaging and a very quick delivery time made for a very wonderful shopping experience! Shipping is wicked quick. The soap dispenser is perfect!